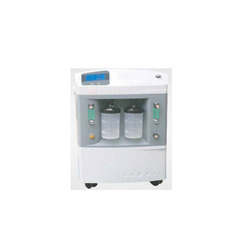 Our range of products include oxy cure 340 oxygen concentrator[, oxy cure 240 (a) oxygen concentrator and oxygen flow meter. • Easy to operate, it can produce oxygen continuously where there is air and electricity. Low cost, without any expendables, spends only 0.3 degrees electricity per hour. • Max. 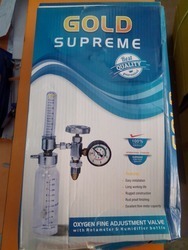 Flow rate 5 liter/min. Low purity alarm when oxygen purity is above 85%, it will give green light; when purity is between 85% and 73%, it will give yellow light; when purity level is below 73%, it will give red light; (optional) Maintenance alarm for maintenance will be heard after 3000 hours of operation (optional) Pulse oximeter fingertip oximeter is available for monitoring patient oxygen saturation on site (optional). The key component to a part Oxygen, its function is to draw oxygen from air sent by compressor. Set alarm function in cash higher or lower pressure than limitation. 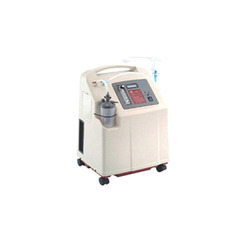 Oxygen concentration is 93%, multiple noise reducer of impedance, noise is lower than52db [A]. Supply the air source for the whole machine, continual Operation life-time is more than 1500 hours without stop. Adjustable flow and continual oxygen supply operate it whenever you wish to make oxygen. Valve: past the test exchanging air for 50 million times. Made by the specialized aluminum material. Supplied by 220v power, made from air as material, under normal temperature, about high-quality Molecular sieve with PSA method to get high-purity Oxygen conforming to medicine standard. • Gross wt. /Net wt.